In four orders issued December 21, 2017, the Federal Energy Regulatory Commission (FERC) continued its examination of price formation in the wholesale electricity markets administered by Regional Transmission Organizations (RTOs) and Independent System Operators (ISOs). FERC announced that it was withdrawing a 2016 Notice of Proposed Rulemaking (NOPR) on fast-start pricing, which would have implemented uniform pricing rules across all RTO/ISO markets. In response to industry concerns about the need to accommodate regional differences, FERC instead initiated three separate proceedings under section 206 of the Federal Power Act (FPA) regarding the pricing of fast-start resources in the New York ISO (NYISO), PJM Interconnection (PJM), and Southwest Power Pool (SPP) markets, alleging that specific elements of these markets’ approaches to fast-start resources require reform. FERC initiated paper hearings on whether the identified aspects of each market’s fast-start resource rules are unjust and unreasonable, and thus must be reformed. Following a series of workshops with market participants, FERC staff released a December 2014 report on “Operator-Initiated Commitments” in RTO/ISO markets. The report expressed concern that fast-start resources may be ineligible to set prices, particularly when the resource is off-line prior to being dispatched, and then immediately dispatched to the maximum operating level (and therefore unavailable to serve the next increment of load). The report also indicated that even in circumstances where fast-start resources are eligible to set prices, some RTO/ISO markets may not allow such prices to reflect the resource’s start-up and no-load commitment costs. RTOs/ISOs must incorporate fast-start pricing into both day-ahead and real-time markets. In response to industry concerns over the need to consider regional variations in resource mix and other factors, FERC terminated the Docket No. RM17-3 rulemaking and initiated paper hearings concerning the fast-start pricing rules utilized in the PJM, NYISO, and SPP markets. PJM currently does not allow the economic minimum operating limit of block-loaded resources to be relaxed by more than 10 percent; FERC finds that this could restrict the set of circumstances in which these units could set prices, and that PJM should allow relaxation of the economic minimum operating limit of these resources by up to 100%. PJM currently limits fast-start pricing to block-loaded resources; the order would require that any unit capable of providing the necessary market service should be able to set prices, including more flexible fast-start resources that nevertheless have minimum operating levels. 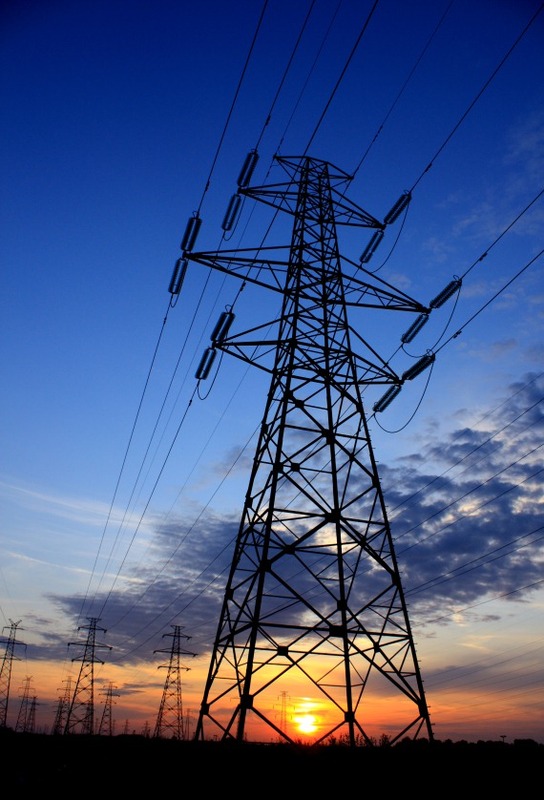 FERC proposes to allow unit commitment costs to be reflected in price. PJM’s tariff does not limit the minimum run-time requirement for fast-start resources; FERC proposes to allow fast-start resources to set prices only where their minimum run time is one hour or less, on the theory that units with longer run times are not truly marginal. PJM allows resources with start-up times of up to two hours to be eligible fast-start resources; FERC indicates that allowing units with start-up times of greater than one hour to set price may be unjust and unreasonable. FERC proposes to require NYISO to modify pricing logic to allow fast-start resources’ start-up costs to be reflected in prices (FERC indicates no-load costs are already included). Similar to the proposed reforms in the PJM market, FERC proposes to require the relaxation of all dispatchable fast-start resources’ economic minimum operating limits by up to 100 percent for the purpose of setting prices, and not just those resources that are block-loaded. SPP’s commitment process “screens” fast-start resources that would be dispatched below their minimum operating limit, which FERC believes may lead to dispatch schedules based on a list of resources not actually reflective of available resources and may ignore resources’ physical limitations. As with NYISO and PJM, FERC indicates that SPP does not include fast-start resources’ commitment costs in pricing, and indicates that start-up and no-load costs should be included. As with PJM, SPP does not have a minimum run-time requirement for fast-start resources; FERC proposes to limit eligibility for fast-start treatment to resources with minimum run times of one hour or less. SPP currently does not allow for the relaxation of the economic minimum operating limits for block-loaded or other fast-start resources for price-setting purposes; FERC proposes that these limits should be relaxed to allow for incorporation in market pricing. Unregistered fast-start resources (that may meet the physical requirements of the category, but are not registered as such) do not have fast-start pricing rules applied to them at present. FERC indicates that this may be unjust and unreasonable, and suggests that pricing based on physical attributes (regardless of registration status) may be more appropriate. In all three proceedings, FERC is using paper hearing procedures, which allow submittal of briefs directly to the Commission. Interventions will be due January 18, 2018. Initial briefs will be due February 12, 2018, and reply briefs will be due March 13, 2018. Briefs may be submitted by the three market operators and any other intervenors, and may include data or empirical analysis to support retention of their current tariff structures or alternative tariff structures. FERC anticipates issuing orders in each proceeding by September 2018. The withdrawal of the Fast-Start Pricing NOPR and the commencement of paper hearing orders concerning the pricing logic used in the PJM, NYISO, and SPP regions reflects FERC’s recognition that a one-size-fits-all approach to price formation may not be appropriate given differing resource portfolios and levels of renewable resource penetration in different regions. Nevertheless, the pricing reforms proposed by FERC in each region indicate FERC’s clear preference that (i) fast-start resources should be able to set price through 100% relaxation of minimum operating level constraints; (ii) such relaxation for pricing purposes should not impact economic dispatch; (iii) the price set by a fast-start resource should reflect the resource’s no-load and start-up costs; and (iv) fast-start pricing should be limited to resources with start and minimum run times of one hour or less. FERC recognizes that implementing such reforms could create an incentive to chase prices – a frequent criticism of relaxing operating constraints in price formation – and has proposed a handful of tools the regions might use to combat this behavior. Notably, these pricing reforms proposed by FERC would apply only to fast-start resources capable of starting within one hour and running for one hour or less. The types of coal and nuclear resources which are the subject of the Secretary of Energy’s proposed rule pending before the Commission in Docket No. RM18-1 typically would not fall within the definition of fast-start resources. Such resources could, however, benefit from higher locational marginal prices driven by these proposed pricing reforms. Van Ness Feldman represents clients on a full range of issues arising out of the organized markets regulated by FERC. If you are interested in additional information regarding FERC’s recent orders and their implications, please contact Doug Smith, Justin Moeller, Gabe Tabak, or any member of the firm’s Electric Practice at (202) 298-1800 in Washington, D.C. or in Seattle at (206) 623-9372.